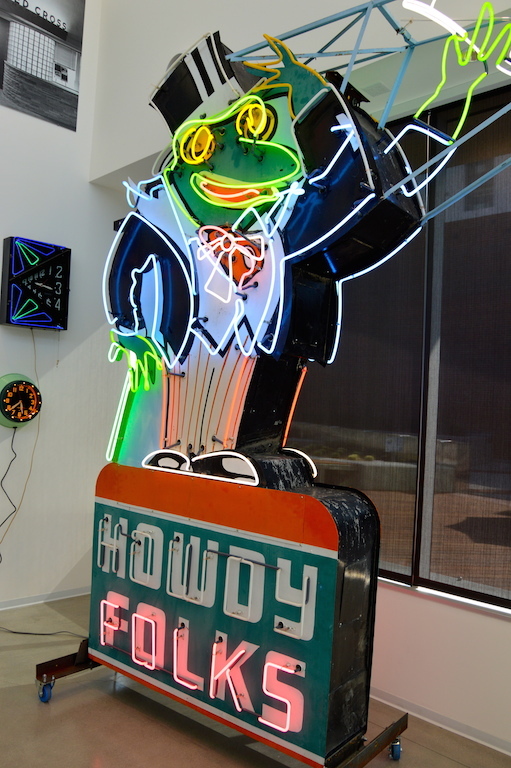 Last weekend I crossed yet another thing off my to do list: The Museum of Neon Art. 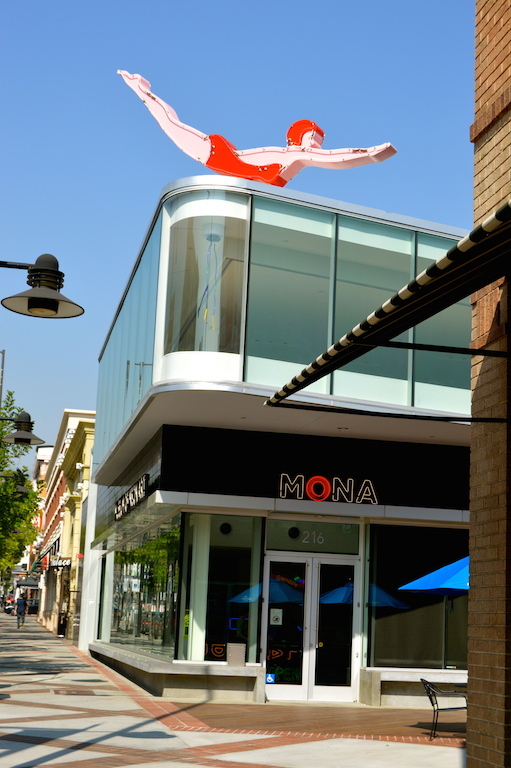 The MONA just recently reopened in its new, permanent home of Glendale, California directly across from both one of my favorite malls, the Americana at Brand, and one of my favorite dumpling places, Din Tai Fung. 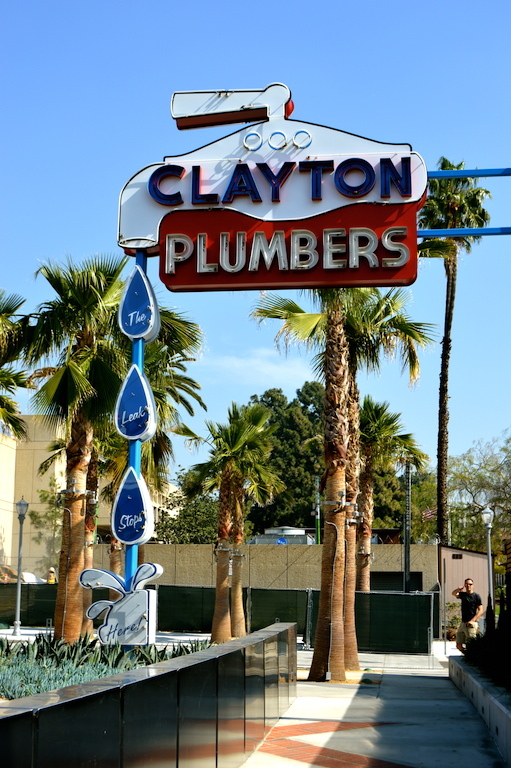 Over the last couple of years on many a shopping/dumpling eating excursion, I would gaze at the construction underway for the MONA, including the addition of the iconic neon diver sign, which you will see below, anticipating the museum's opening. When they announced their official opening a few weeks ago, I knew I wanted to be one of the first to step through their doors! Below you will see some of the pictures I took of the MONA. 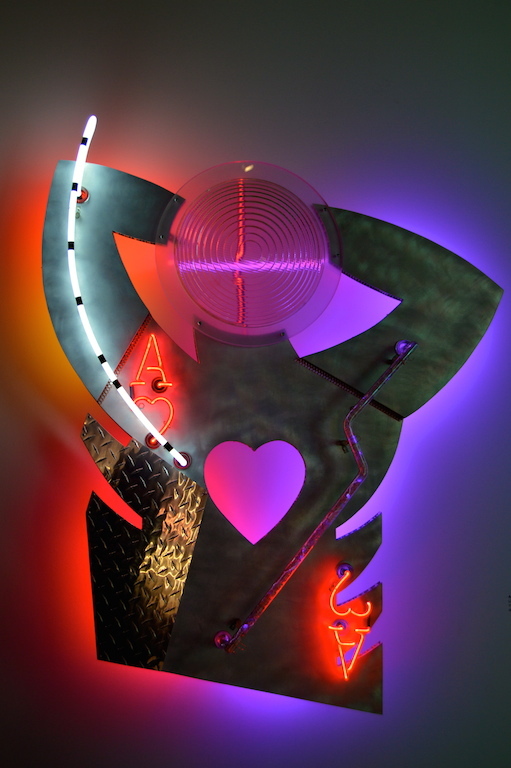 Their collection includes both historical signs that the museum is devoted to preserving and more contemporary neon pieces by artists who use neon as a medium for artistic expression. 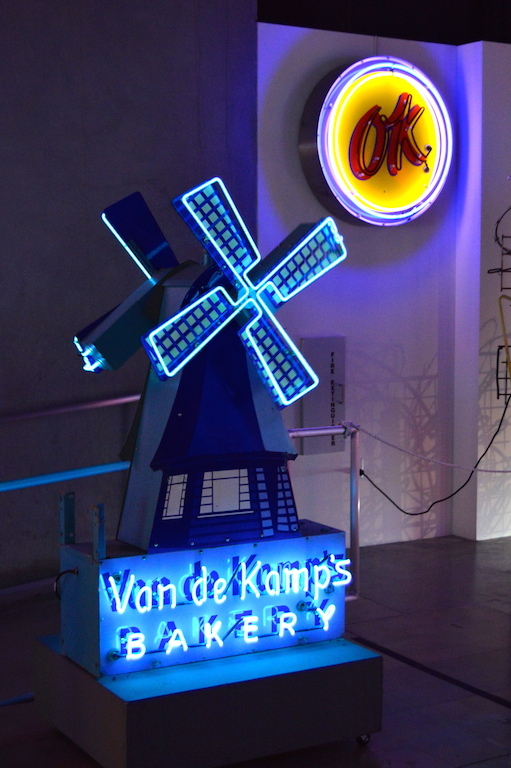 Personally, my favorites were some of the vintage pieces, including the numerous neon clocks in the gift shop. 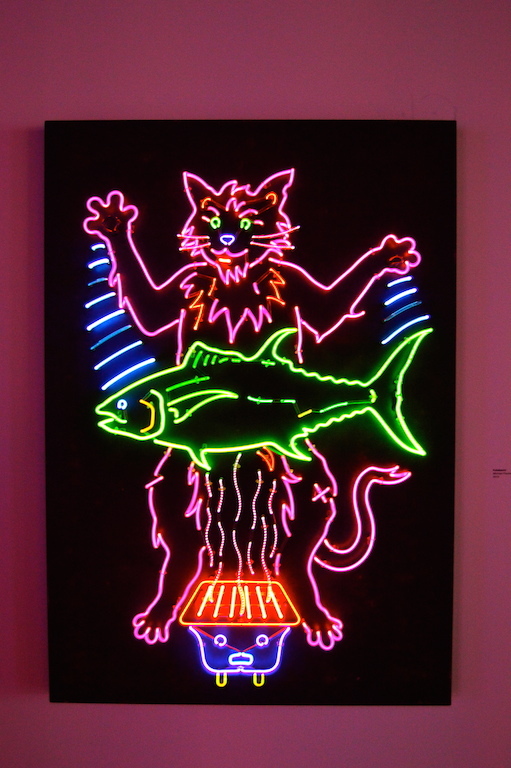 I hope they put more of these types of pieces on display in the future, because I have a soft spot in my heart for vintage neon. What a unique place to visit. You got some great photos. I think I love small, unique museum just as much if not more than the more notable ones. It's always fun to discover something off the beaten path! Thank you! The signs are my favorite of all of the works on display. Finding vintage neon is one of my hobbies! That looks like such a fun museum to visit! I could wander around for hours somewhere like that! Yes, although to be quite frank the exhibit was one room and a gift shop...so pretty small! 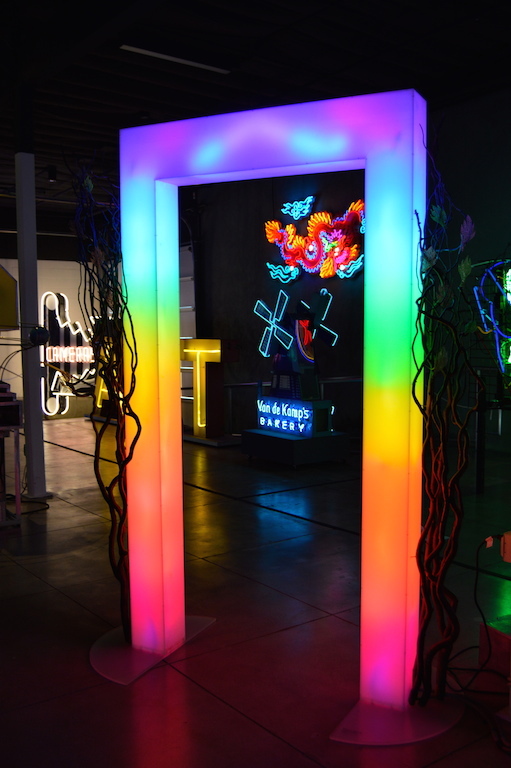 The Neon Museum in Vegas is so cool! You definitely need to check it out if you get the chance. I hope you enjoy the rest of your week Kim! What a cool looking place! Bright and colorful!! 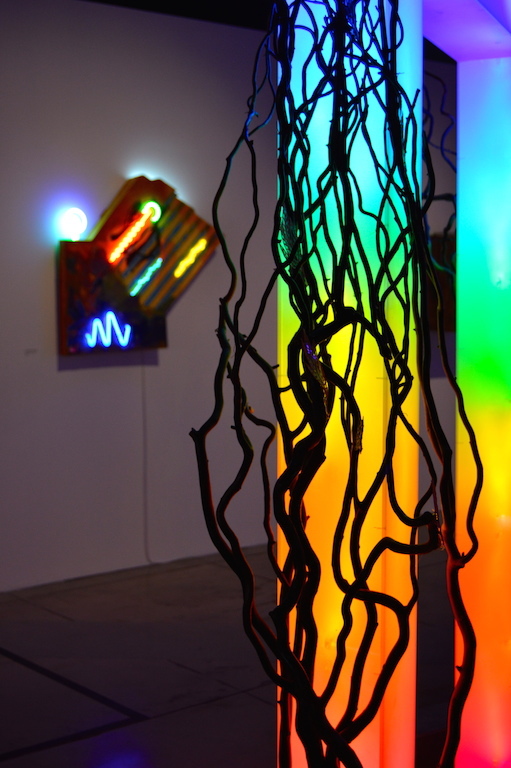 Yes, it is a great place to take lots of colorful interesting photos of the art!